This old mining town has a unique charm you won’t find anywhere else. 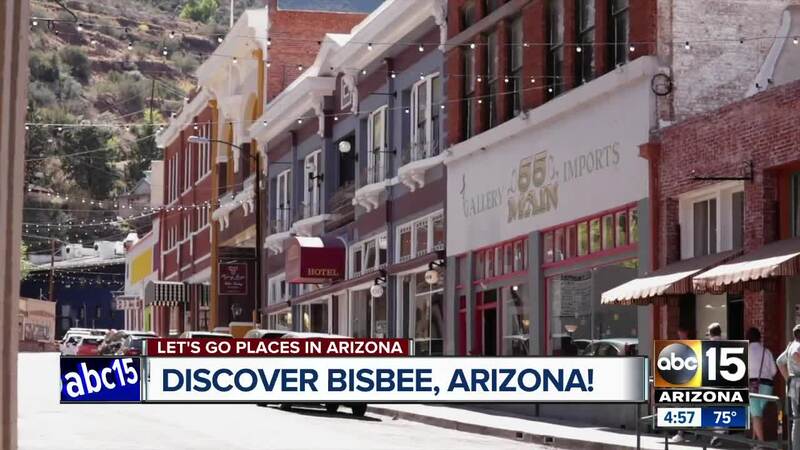 Take a trip to southern Arizona and discover Bisbee! The town is full of art, museums, restaurants, and a whole lot of history. Colorful Victorian buildings line the street, and you can stay at one of their many historic hotels. One spot you definitely need to visit is the Queen Mine. Put on your hard hat and descend 1,500 feet into the Earth on a tour of what was once the richest mineral site in the world. If you find yourself climbing a lot of steps while exploring the town, keep going! You could find yourself at Castle Rock, a lookout in the middle of town. After all that walking, stop by the High Desert Market and Cafe anytime of day for a good meal. Be ready to spend a wild weekend in Bisbee -- there is just so much to do and see in this charming Arizona town.